Dr. Standnes was born and raised on a little farm called Standnes located in the picturesque fjord land on the west coast of Norway. Animals of many kinds were a part of his rural lifestyle from the very beginning and after graduating from college he packed his bags and ventured to Edinburgh, Scotland to study the art and craftsmanship of veterinary medicine and surgery. After a few years in James Herriot’s homeland working with all creatures great and small, an opportunity of a lifetime came along when Dr Mintzer called one evening and hired him as an associate. Roots got severed, bridges burnt and off he went following his dream to settle in the Promised Land. Destiny soon brought Stephanie into his life through her dog Trusty (the poor ol’ fellow had a bladder stone!) and less than 2 years later they tied the knot. In his spare time, when he is not at home with his lovely wife or exploring new places, odds are he is cruising around the scenic country lanes on his motorcycle or kayaking on the beautiful Hudson river. In the winter he is an avid follower of the English Premier League (soccer). Between matches he reads books and sailing magazines and spends a fair few hours honing his skills at the local firing range. At the end of the day he snuggles up with his wife and their two cats, Oscar and Cyrus (he is the rascal by the way! ), looking forward to the next day of challenges caring for perhaps YOUR pet. Rob is one of our “wunderkinds.” He began as a volunteer in his last year of junior high school. He was always a bright, enthusiastic, energetic boy. Once he was old enough to get working papers he was continually asking for a “real” job (with real pay). We already knew what a great prospect Rob was so we gave him all the hours he could handle and not fall behind in his school work. 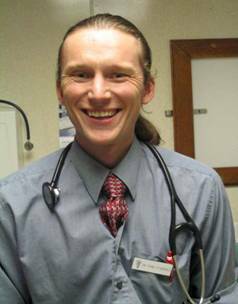 Rob began as a veterinary assistant walking dogs, cleaning cages, taking care of general maintenance around the hospital, and the thing he liked most, holding pets and assisting the veterinarians. As Rob got older and learned everything he could about what went on in a veterinary hospital, it soon became apparent that he had great skills as a veterinary technician. It was no surprise then, that later in his high school career Rob began talking seriously about becoming a veterinarian. We told Rob that to get into veterinary school he needed to be at the top of his class and Rob took that to heart. He graduated #8 at Roosevelt High School and was accepted in the 7 year program at New England-Tufts College of Veterinary Medicine. At the present time Rob is in his 5th year of the program. During vacations and holidays you might see him filling in as receptionist or technician at Arlington or Mid Hudson Animal Hospitals. In another two years I'm sure he'll be right here taking care of your pets as a newly graduated veterinarian. We're all very proud of him. Well, here it is, 2006 and Robert...er Dr. Redden is now a member of our professional staff. We're so very happy that after 7 years of schooling and being exposed to many veterinary hospitals, he felt the quality of medicine that we practice here in our hospitals met his high standards. Our clients have also been very happy to see Dr. Redden taking care of their pets. Dr. Redden's has a special interest in emergency medicine. He gets quite a bit of practice in emergency medicine as he's one of the vets here who takes late night emergency calls. Dr. Quattro was born and raised on her parent's farm right here in Pleasant Valley. Growing up and working on the farm taught young Marie a deep respect for the creatures that shared her environment. She also found that she was fascinated when the farm veterinarian treated sick animals and made them healthy again. It was only natural then, as she got older for her to decide to become a veterinarian. After studying at Arlington High, Marist College and Penn State University, Marie decided to expand her horizons and studied veterinary medicine in Europe and the Far East. Upon graduation she began practice at the Mid Hudson Animal Hospital with Dr. Mintzer. They got along so well that they decided to open a new hospital together. One day, Dr. Mintzer's wife Susan noticed that a building housing Harley Davidson of Poughkeepsie was up for sale. She thought it might make a good veterinary hospital. After a year of negotiation, planning, renovation and lots of elbow grease Arlington Animal Hospital was born. And that is where Dr. Quattro has lovingly tended to her patients for the past 25 years. 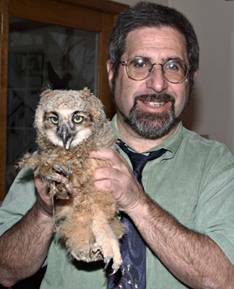 Dr. Mintzer is the owner of Mid Hudson Animal Hospital and a partner at Arlington Animal Hospital and A Cat's Place Feline Health Center. He is also a computer programmer; all of the programs used at the hospitals are products of his programming and he is also the webmaster of this site. Dr. Mintzer has been interested in biology and medicine since he was a young child. He knew little about pets though because he grew up in a house with his grandmother who could not allow pets because of her asthma. When he was 20 he moved into his own apartment in Brooklyn. Driving a taxicab in New York City at night was a quick though dangerous way to make money to pay his way through college. His friends suggested he get a job with a veterinarian so when he graduated college he'd know enough about animals to take care of them on the commune (it was the late '60's at this time) they were planning to start in the Catskill Mountains. The first day he worked for the vet (Dr. Robert Groskin in Brooklyn, NY) he helped perform a cesarean section on a Golden Retriever. He was hooked. A year later, having graduated college, adopted a cat and 2 dogs and he was off to vet school. After graduating vet school (first in his class) and working in Princeton, NJ and then in Brooklyn, NY he moved with his wife Susan and young children, Jennifer and Daniel to the Hudson valley. He soon opened his own practice, Mid Hudson Animal Hospital. 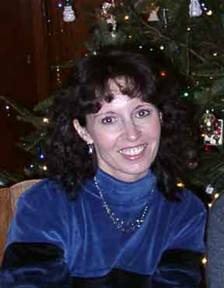 The practiced grew and flourished and he soon found a great partner, Dr. Marie Quattro, with whom he opened the Arlington Animal Hospital. Finally 15 years later he opened A Cat's Place Veterinary Hospital with another terrific partner, Dr. Andrea Guazzo. Dr. Mintzer's pride and joy are his children Daniel and Jennifer. Although they did not follow him into the profession of veterinary medicine they are both happily following their own paths in life. Jennifer is a working singer/actress who "supplements" her income by working at Bloomberg Inc. in NYC. One of her favorite rolls was as 'Luisa' in the Fantastics. You can see some pictures from the play here. Daniel is a drummer in a number of different bands, though he too has to have a ‘real job’ and works with his sister at Bloomberg. 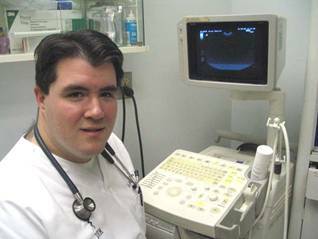 These days Dr. Mintzer still spends quite a bit of time working at Mid Hudson Animal Hospital and helping manage Arlington Animal Hospital. In his spare time he's an active outdoorsman who can often be found hiking the local parks like Mills and Vanderbilt, the Catskills and Adirondacks, or taking some time off to backpack in the American West. On warm days you might also see him canoeing or kayaking in the Hudson. When the weather turns cold he's either skiing, or snowshoeing somewhere in the woods. While he does this he always has his camera with him. He's been an avid photographer since he was 10 years old and with the advent of digital photography is happily back to making images again. Like one of his influences, Ansel Adams, he agrees that pictures are not taken, they're made. He spend hours in front of the computer getting each of his images just right. If you've been in the office over the past few years you've seen some of his photography hanging on the walls. .